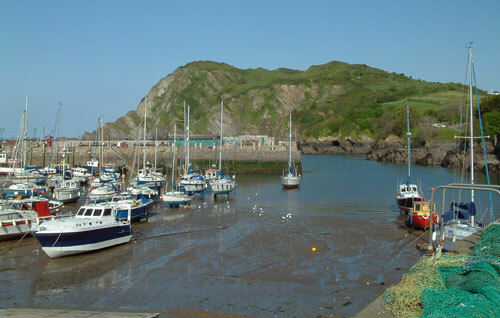 Most people are aware of Devon as a very popular UK holiday destination in south west England. It’s scenery, beaches and good weather attract a steady stream of holidaymakers throughout the warmer months of the year. There is a wealth of holiday accommodation in Devon and on this page we are highlighting luxurious cottages and unusual places to stay. If you live in a high quality spacious house, you will want to rent an equivalent of better property for a holiday and there are some stunning houses to choose from. It is very nice to be able to stay on the coast, close to beaches, good restaurants, sailing and watersports. How lovely would it be to be able to see a patch of blue sea from a window or balcony of your holiday home? Kingsbridge in south Devon is one of those areas rich in holiday homes on the banks of the Kingsbridge estuary, overlooking the boat lined waters of the river and creeks. There are a good number of attractive and opulent houses to rent in Kingsbridge that would be a pleasure to stay in. Salcombe, a little further south is another town overlooking the Kingsbridge estuary and another potential holiday accommodation area with tree lined streets and narrow lanes alongside the harbour. There are numerous coffee shops, restaurants and tourist attractions to entertain. 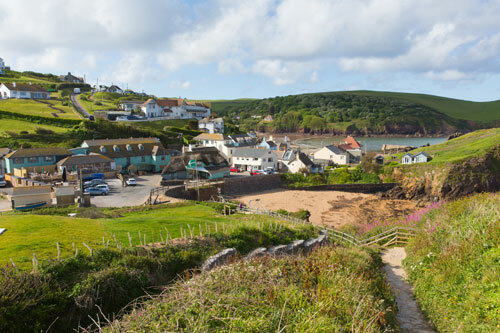 The best holiday cottages are to be found in the countryside surrounding Salcombe. Perhaps a spacious farmhouse or a pretty cottage set in large private gardens would be a good base for a cottage holiday in south Hams? Top end self-catering accommodation offers excellent holiday facilities. Not only is the accommodation professionally styled and comfortable but there are likely to be manicured gardens, possibly a swimming pool, games room, hot tub, tennis court, sauna or similar desirable options. Care is taken to provide a truly satisfying Devon break with customer care and tourist information on hand to smoothe the way for new visitors to Devon. Hope Cove is shown on the left - another beautiful Devon location for a peaceful coastal break.